Two Book Friday! 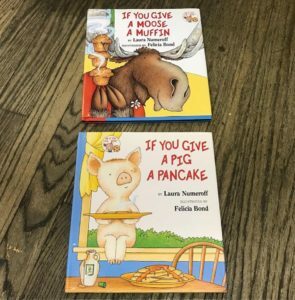 So at school the little one and her crew are all about If You Give A Mouse A Cookie, so in that spirit this week we have If You Give A Moose A Muffin and If You Give A Pig A Pancake. On a related note, pancake breakfast is in fact the number one choice of the little one. Happy Friday!